As I continued to explore Takanori Aiba’s works, I began to wonder about the history of bonsai. Having Aiba in our world is no doubt a gift, but we would not have any of what he has done without the existence of bonsai in the first place. What about the roots of this tradition? After some research, I came up with this next article and was opened up to several more related Japanese and Chinese artforms. 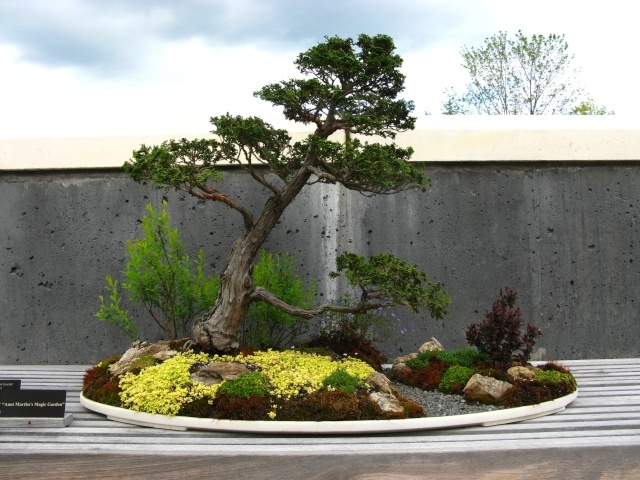 It turns out that bonsai is based on the Chinese art of creating miniature, artistically formed plants and landscapes called “penzai,” also known as “penjing.” When exactly the Japanese (imperial personnel or students) brought over potted plants has estimates around 600-850 AD. 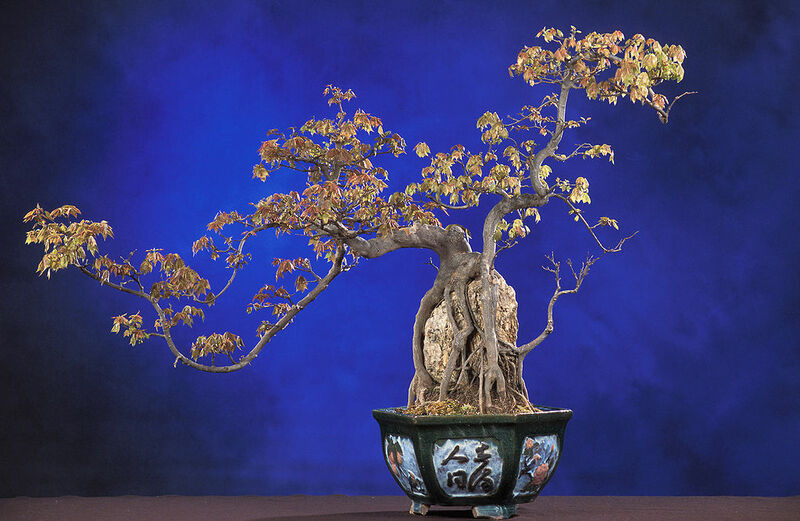 When the Japanese began to adopted their own style that branched off from penjing, that apparently came around 1300 when celebrated priest and master of Chinese poetry, Kokan Shiren outlined principles for bonsai aesthetics. Apparently, while “bonsai” is used to talk about just trees, penjing can incorporate more elements like water, rocks, land, and also miniature items like houses. Another characteristic of penjing is the popularity of using twisted and gnarled shapes (link to photo). It is believed that the first trees to be highly valued were misshapen and thought to be rich in special concentrated energies because of their age and freedom from human influence. 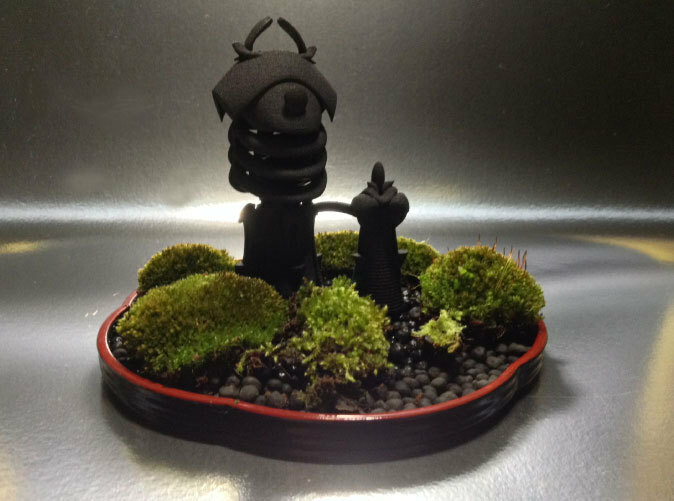 There are numerous styles of penzai and bonsai. 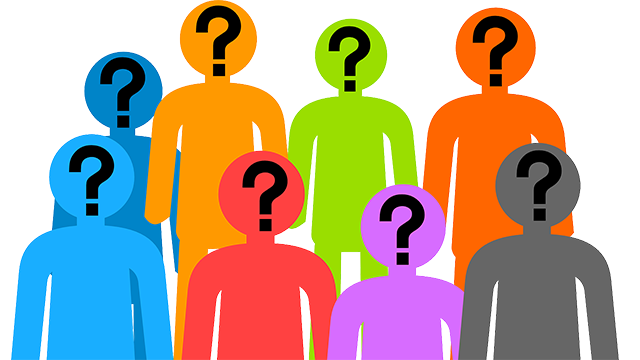 We will look at some of the styles today but in future articles, I will focus more on one at a time. Saikei looks at miniaturized three-dimensional landscapes in trays. A saikei depends exclusively on living plants for effect. Because it centers around a living plant, a saikei requires frequent tending, unlike a Bonkei (below). Bonkei also involves 3D landscapes in trays but uses mainly dry materials, often synthetic, like cement or papier-mâché. Living plants are rarely used. 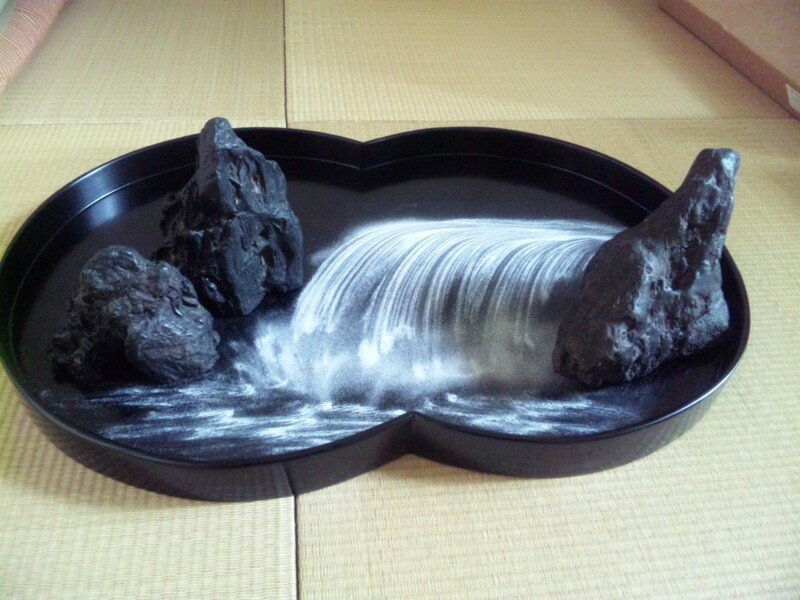 Bonseki is the creation of miniature landscapes specifically on black lacquer trays using white sand, pebbles, and small rocks.